The Waldlaufer Jill Black Nubuck is the perfect choice to wear throughout the entire year. The Jill is fashioned in soft nubuck leather and will complement both casual and dressy outfits. 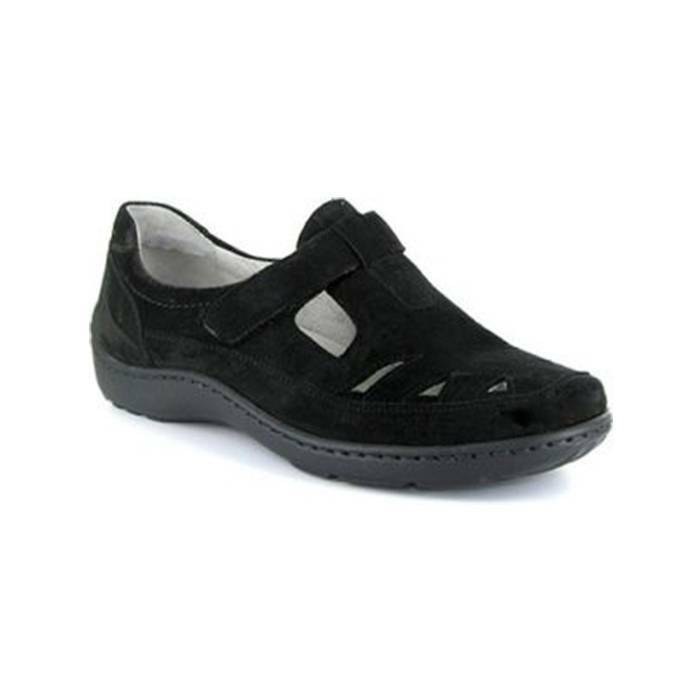 A removable footbed with arch and metatarsal support will assist you as you go about your busy day. The Jill is made on the European ‘H’ last which fits a women’s C-D width. The name Waldlaufer has stood for the highest quality shoemaking for several decades. Their shoes are tailored specifically to the various needs of their customers. They belong to a personal lifestyle, like your choice of clothes, and quickly mean more to you than just regular shoes. Fits best on wider feet.